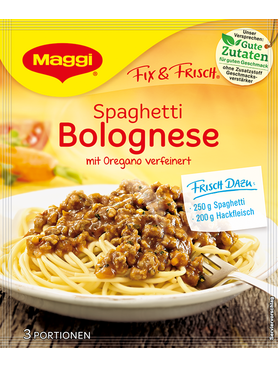 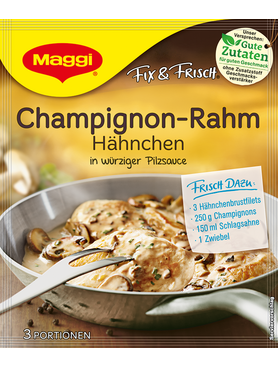 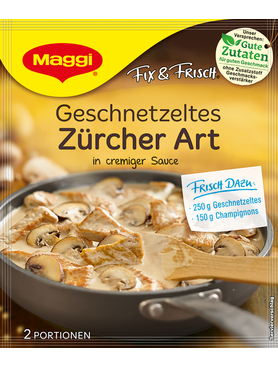 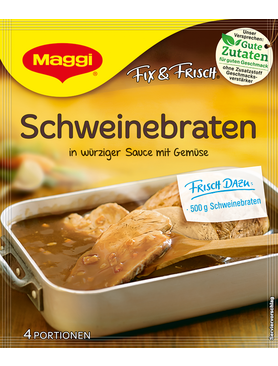 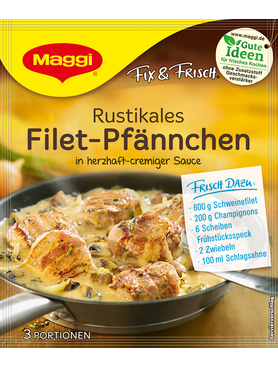 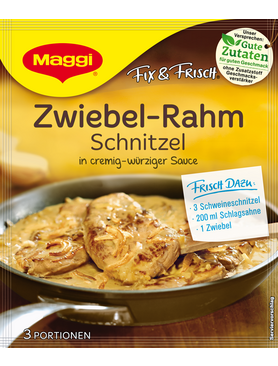 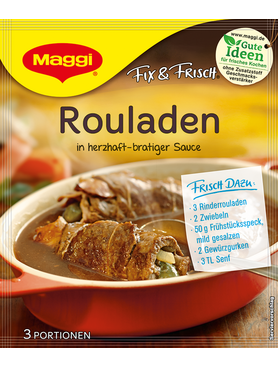 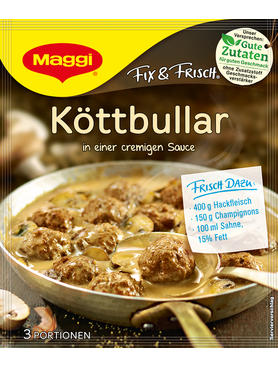 MAGGI fix & frisch Geschnetzeltes "Zürcher Art" Fix with sliced mushrooms. 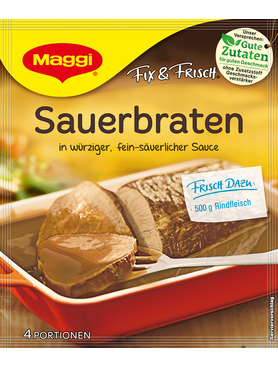 50 gram packet. 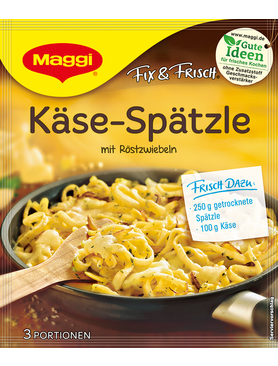 Makes 2 portions. 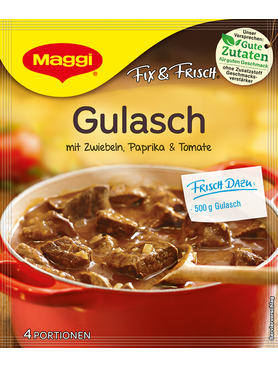 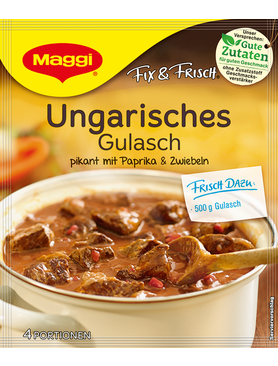 MAGGI fix & frisch Gulasch Tomato with onion and paprika Fix for goulash. 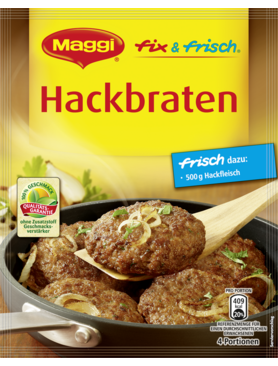 44 gram packet. 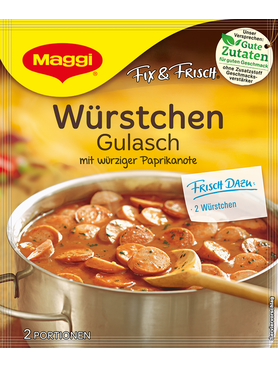 Makes 4 portions.